The PDF format was created back then to guarantee the portability of documents between different platforms so that they could be opened on any device with the appropriate program without undergoing any changes due to incompatibility problems. It has always been developed by Adobe Systems, becoming an ISO standard in 2008. The PDF reader of reference, by Adobe of course. As you probably know, we can currently use plenty of different PDF viewers but the program developed by Adobe is still considered the best. 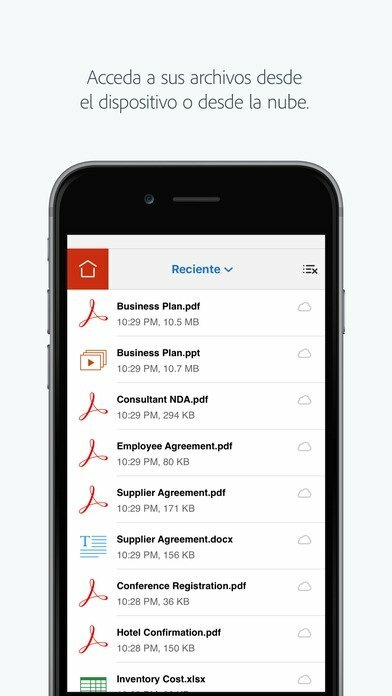 We're obviously talking about Adobe Acrobat Reader, that in its iOS version allows us to comfortably work with this document format on Apple's devices that run this mobile operating system: iPhone, iPad, and iPod touch. And there's no doubt about it: it's the most complete app that offers us full compatibility with this format. 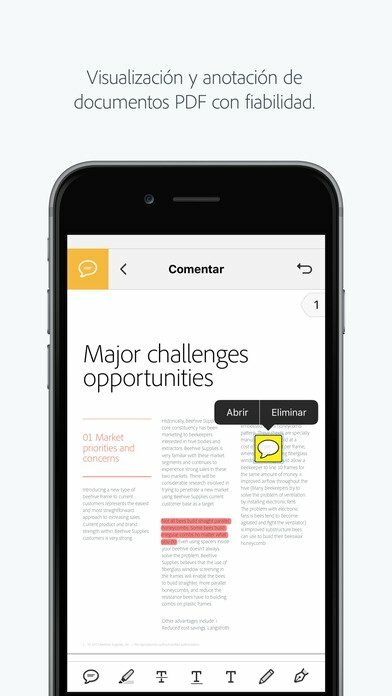 Not for nothing, there are also versions of this program available for Mac, PC, and Android in APK format, being a reference for anyone who wants to carry out any kind of work with it: from simply reading to editing contents. View PDF files straight from your email, online on the web or offline thanks to downloaded documents. Carry out searches and explore the file's contents, increasing or decreasing its size. Single page and continuous scroll modes. Take notes and add comments by means of sticky notes and drawing tools. Highlight and mark text by means of annotation tools. Compatible with Apple Pencil if you've got an iPad Pro. 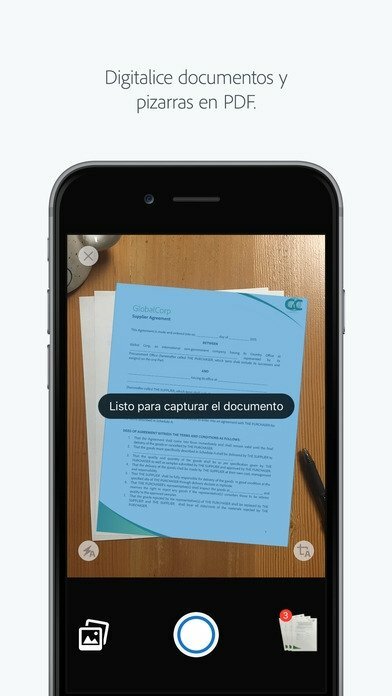 Digitize documents and boards by means of your device's camera. 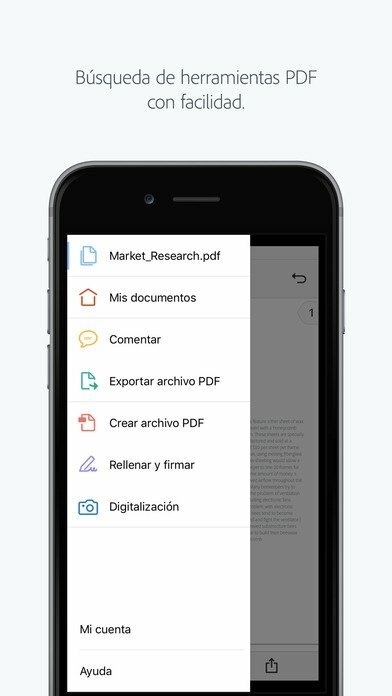 Easily save and share digitized PDF files. Fill in and sign forms by writing text in fields. Use your finger to sign any document. Store files starting a session on Adobe Document Cloud. Share files on cloud storage services such as Dropbox, iCloud Drive, Google Drive, Microsoft OneDrive or Box. Export files to Microsoft Word and Microsoft Excel. The minimalistic design of its interface offers us a simple functioning as its different features are easily accessible from a drop-down menu on the left-hand side of the screen. With this free download, you can access the basic functions of the free version with which you can open and read any PDF. By means of its in-app purchase system, you can buy different packs of functions that suit your needs the best, being able to get hold of a full version if you purchase them all. Search for local documents using Spotlight. View link contents from the app. Fixes bugs and improves performance and stability. Minimum operating system requirements: iOS 11.2.